Women often face joint and hip related problems and when one is a sportsperson the situation can be really tough. Hip strength and building endurance in the associated muscles is one of the prime concerns for sportswomen which helps to improve their performance. Hip muscles play a crucial role in stability, building power and strength and are vital for maintain a steady posture which is crucial for sports performance. Hip muscle strength building is also essential for reducing the risk of injuries during injuries or for sudden hip movements. This is an easy exercise which is quite suitable for beginners too. It helps in building endurance, hip strength and power. To start the exercise, lie down on your side. Keep one arm bent and rest it just under the head. Your shoulders, hips, knees and ankles need to be all lined up. You will now raise the upper leg up slowly. You need to ensure that it doesn’t touch your other leg. Stay in this position for some seconds and then you can again pull your leg back. You can repeat this workout at least 10-15 times and for both sides. This is more like a warm up exercise for sportswomen who are looking for stronger hip strength and greater endurance levels. Start by lying down on the floor. Keep your legs bent and then slowly lift one foot up from the floor. You will slowly lift your hips up as much as you are comfortable. You need to concentrate on contracting the glute muscles. Your toes of the working leg need to up in this movement. Now, hold on for a few seconds and then again lower your body. You need to repeat 8-12 times on each side. You will be doing 2 or 3 sets on every side. You can do this exercise anytime. It is known to work and help in waking up your glutes, epecially when you were sitting or lying down for a lot of time. One more easy to do workout, which can be done by lying down on your back. Keep your knees bent and your feet shall be flat. Now, start to lift your bottom up slowly as you push through the feet. Your shoulders, hips and knees will make a straight line in this position. You need to ensure that you tighten the glute muscles as you are doing this workout. This will help in adding power and strength to your body. Stay in this position for at least 5 seconds. You can again repeat the workout at least 10 times. Start the workout by standing in a comfortable position at a table or chair. Move your knee up, as much as you can. Keep the back straight. You will also tighten your muscles at front. Stay in this position for at least 3-5 seconds. You will then repeat the movement at least 10 times on either side. Do this exercise at least thrice a week. You need a strong cable column to do this workout. You will attach this cable to the ankle cuff. You can secure the cable around the ankle. When you are doing this workout, you are able to focus on four different movements which are adduction, abduction, extension and flexion. You have to motivate your body and try to stand up straight as you do the workout. In case you are not comfortable and you find the need to lean, you should reduce the weight. 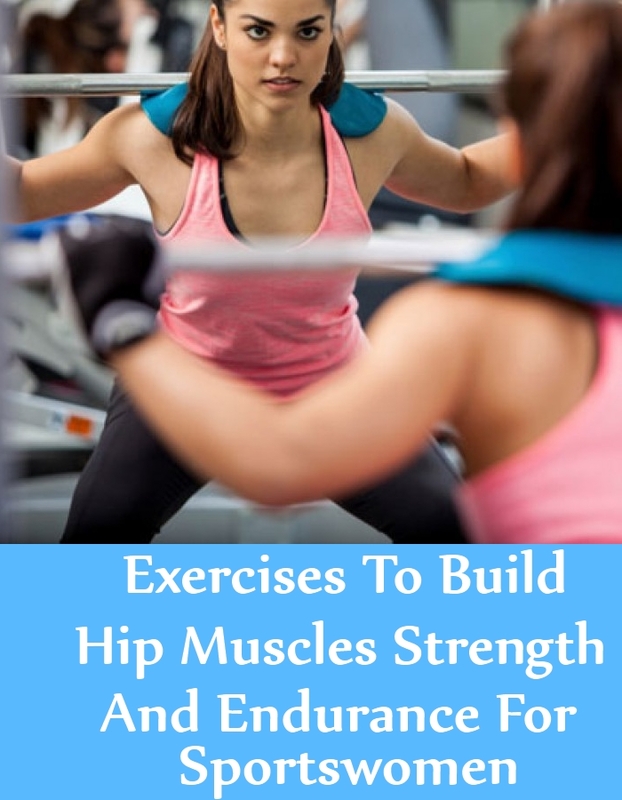 Your hip muscles will be worked upon quite well. Your endurance level will increase. You will be able to balance and stabilize your body quite effectively. You need to do this workout for at least ten minutes as you start off.